The atlatl, also called a spear thrower, acts as an extension of the arm, and allows you to throw a projectile, called a dart, with great speed and power. The atlatl was developed a least 30,000 years ago and was used as a hunting and combat weapon by stone age man. Very large animals, including the wooly mammoth, were taken with the atlatl and dart. So, the atlatl is a viable survival tool. The problem is, becoming proficient with the atlatl takes way more practice than the average Joe is willing to expend. I have thrown the atlatl quite a bit, but I have yet to develop any kind of consistent accuracy. There used to be a couple of park rangers at the Poverty Point State Historical Site in Louisiana that were very good with the atlatl. They could consistently hit a deer sized target at seventy-five yards, and I have read about people going on wild hog hunts with the atlatl, so it can be done. Just not by me. Be that as it may, I’m going to show you how to make an atlatl in case you might be one of those people who can get the hang of it. First let’s make the atlatl. We’re going to make a very plain-Jane survival type atlatl. The only tool you will need is a knife. 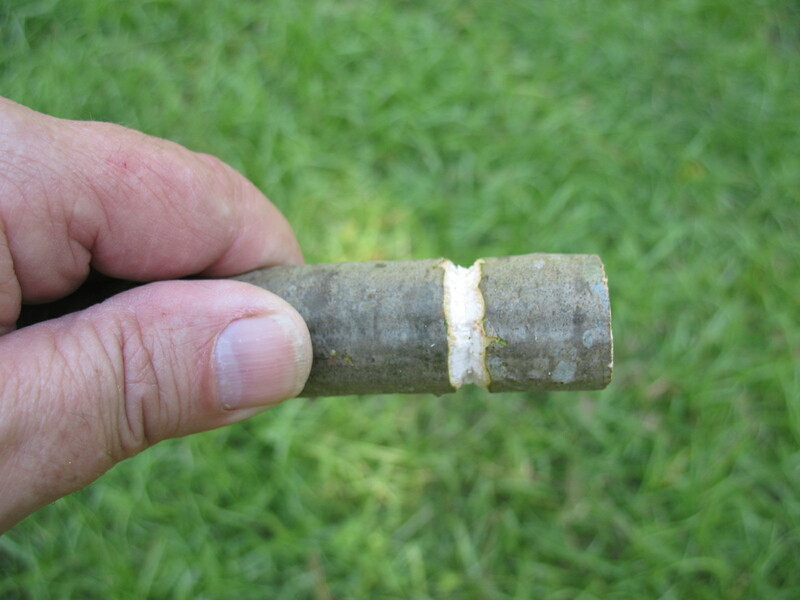 First step is to locate a good tree branch for making your atlatl. 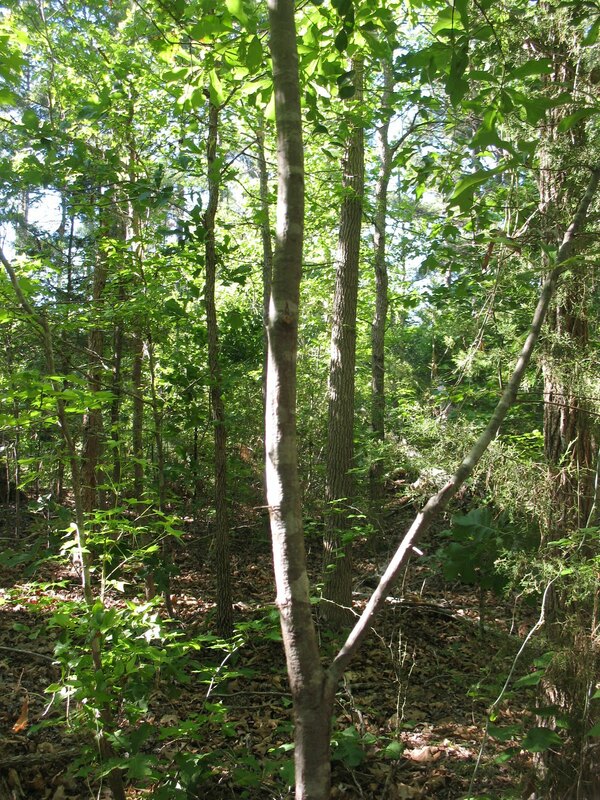 The main part of the branch needs to be about an inch in diameter and straight for a length of about two feet. The bottom part of the branch needs to have a limb growing out of it at an angle of less than forty-five degrees. 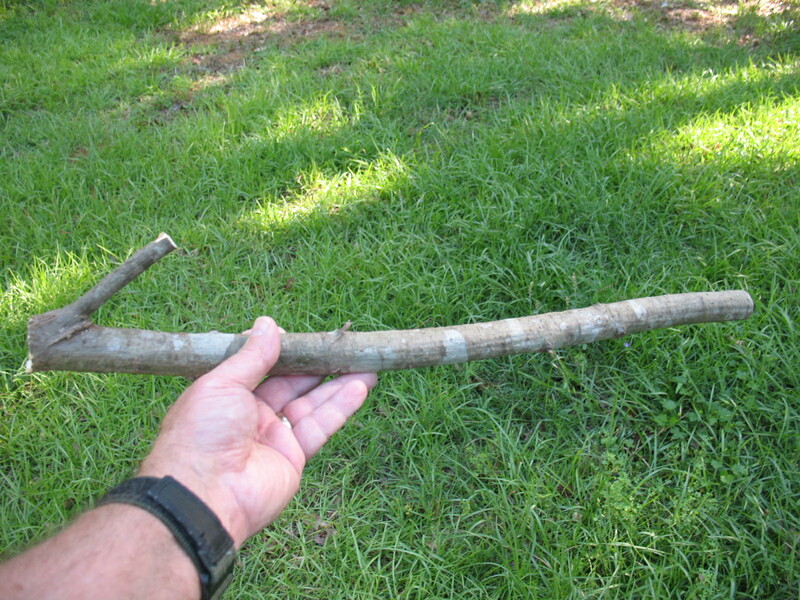 Picture below: A youg sapling with a branch coming of at the correct angle for making an atlatl. 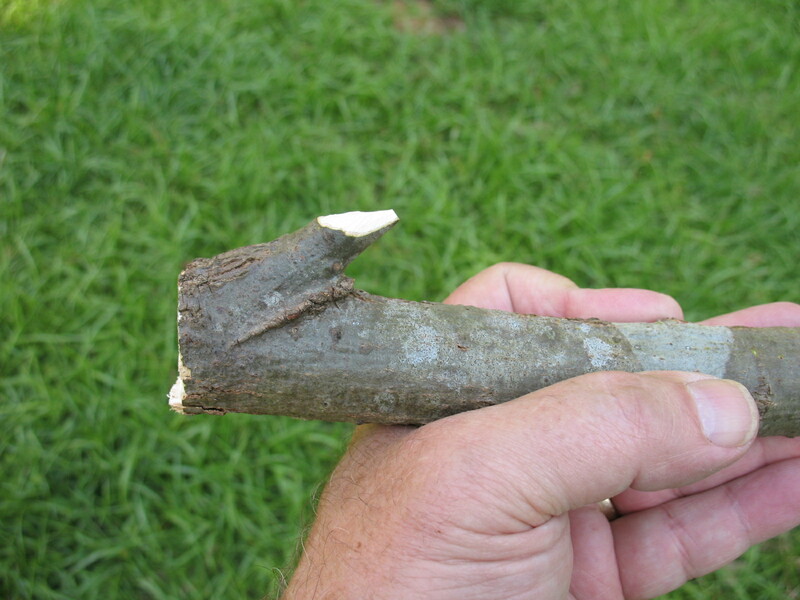 When you locate the right branch cut it out; and, believe it or not, your atlatl is almost completed. Pictured below: Roughed out atlatl from sapling. Use your knife to sharpen the small side branch to a point. This point will fit into the back of your dart. Pictured below: Point on branch used to hold dart. 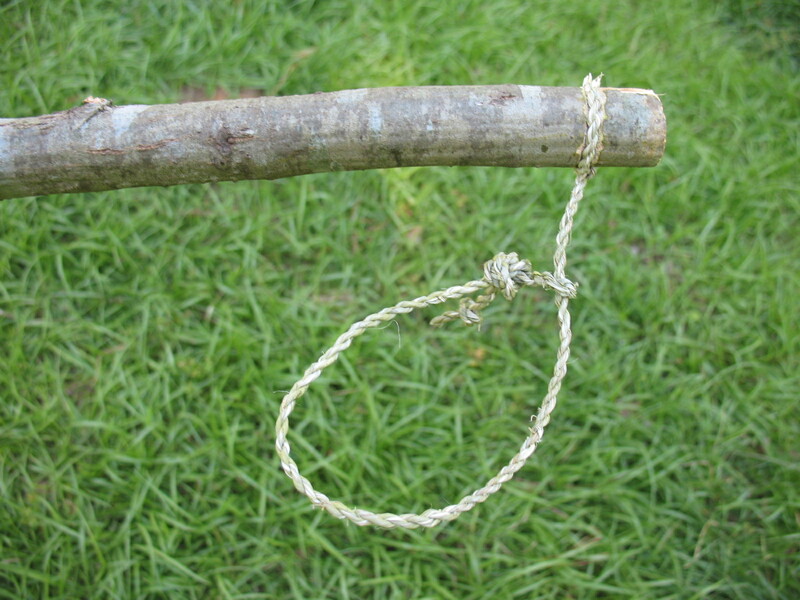 You can now use your atlatl just the way it is, but you might want to attach a loop of cordage to front of your atlatl. This loop will fit around your wrist and help you keep the atlatl from coming out of your hand when you throw a dart. More about this when I do a post on how to use the atlatl. 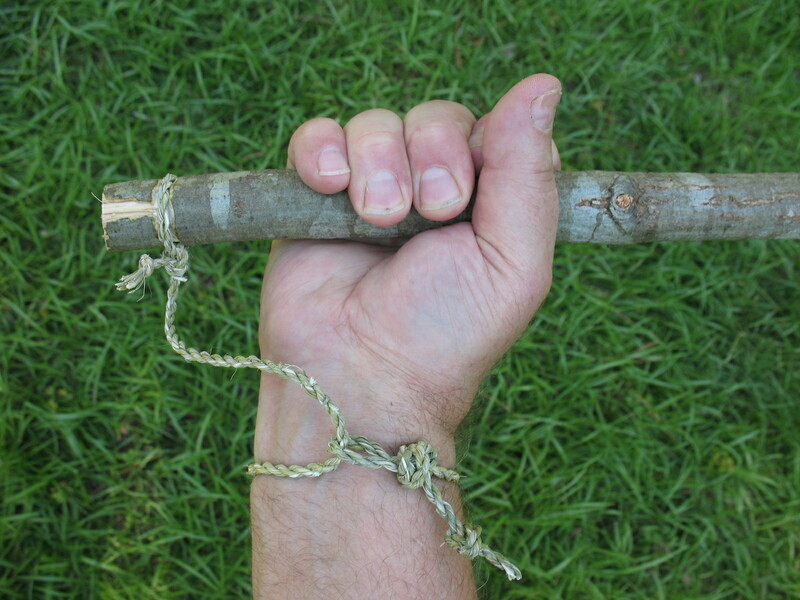 Pictured below: top, groove around handle of atlatl to hold cordage loop; middle, cordage loop made of yucca fiber attached to atlatl; bottom, atlatl loop fastened around wrist. In the next post we will make a couple of atlatl darts.